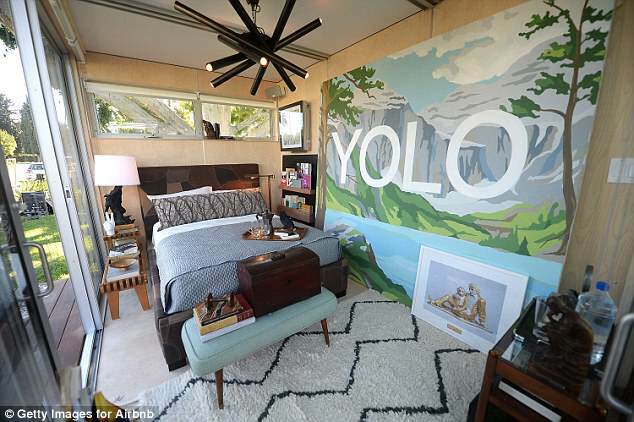 Today, Airbnb is worth $30billion and has become a lifestyle for modern travelers. But 10 years ago, when the company was founded in San Francisco, it was little more than a pipe dream and a means of making rent for its founders. 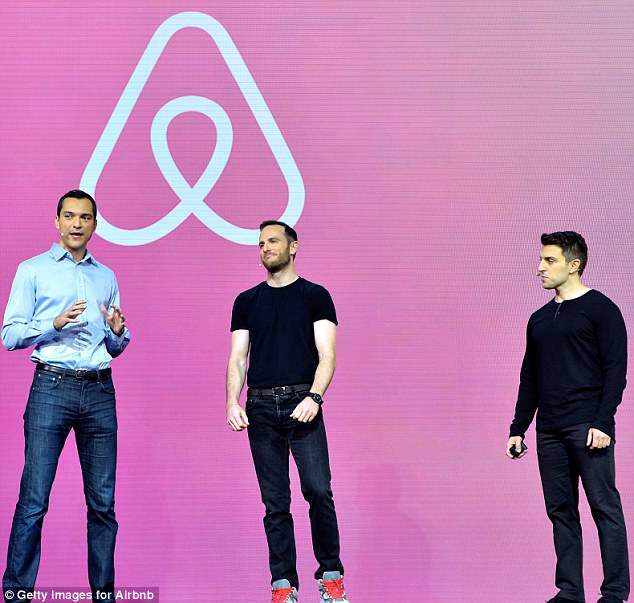 The company, as it is now known, is the brainchild of roommates Brian Chesky and Joe Gebbia who were struggling to pay for their shared apartment in August 2007 when they came up with the idea. To raise money, they blew up air beds and rented them out in their apartment, drawing in three guests – a 30-year-old Indian man, a 35-year-old woman from Boston and a 45-year-old from Utah – who each paid $80-a-night. Officially, those were the first dollars the company, then called Air Bed and Breakfast, pulled in. But the following year during the 2008 Democratic National Convention in Denver was where its roots were planted. Between their first guests and the convention, they failed to attract enough guests to get it off the ground. ‘This was also a social experiment. No one wanted to be the first to do this,’ Chesky said in a 2014 speech. With fellow roommate Nathan Blecharczyk now on board, the trio were desperate to raise money to take the business to the next level. But the punishing timing of it being after the global financial crash coupled with skepticism over their idea got in their way. They were introduced to 20 different investors, 15 of whom did not reply to their initial emails asking for money. One, Chesky recalled, got up half-way through their coffee meeting and simply walked away. In a bid to drum up publicity and some much needed cash to put behind marketing, the trio decided to provide breakfast, then a key part of the business model, to crowds at the DNC. They hoped it would inspire Obama supporters in Denver to open up their homes to other Obama supporters who were visiting. 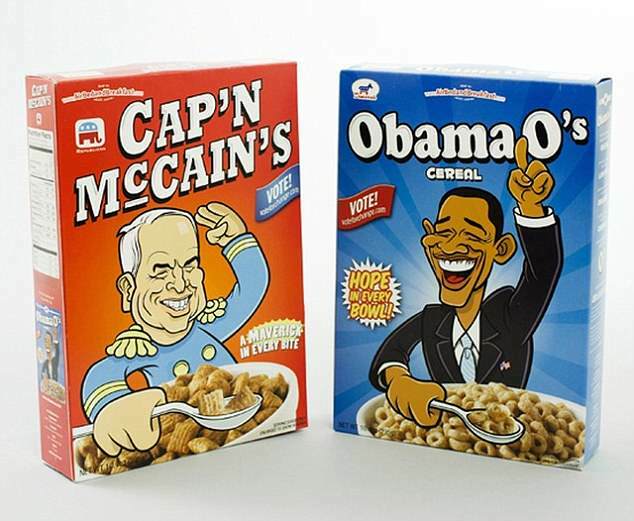 They created campaign-branded cereal – Obama-O’s and Cap’n McCain’s – for $40 a box and, remarkably, raised $30,000 in the process – selling all of the 1,000 boxes they had convinced a local printer to make them for free then giving him a royalty once they sold. ‘That was our first round of financing,’ Chesky said in 2014. 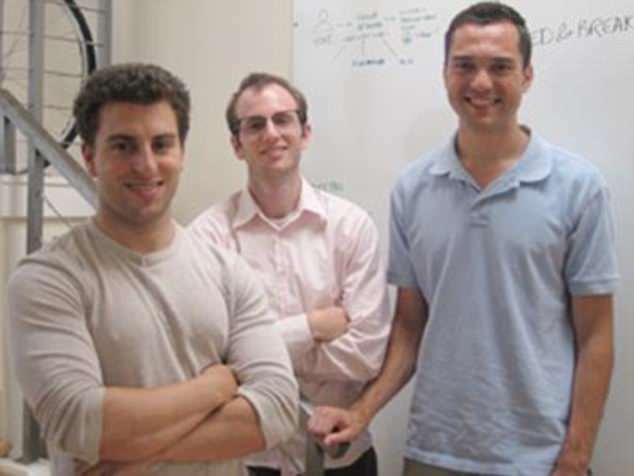 In desperate need of more, the trio entered Y Combinator, a seed accelerator which gives two start-ups $120,000 every year. ‘And I was like, “Yeah.” And he said, “What’s wrong with them?” That was the beginning of my interview. It kind of went down from there. The meeting got them $20,000 in seed money in exchange for six percent stake in the company. They used some of the money to travel to New York, by now their biggest market, to meet with users. There, the founders discovered that the photographs of listings were not high quality enough. So they bought their own camera and started taking images themselves to post on the ads. In 2009, they changed the company’s name from Air Bed and Breakfast to Airbnb. and, nurtured by Graham’s investment and the incubator, the investments came pouring in. First, they were given an additional $600,000 from other investors. It was then that they started handling payments between guests and hosts on the site. In 2010, they asked for more – $7.2million. An unnamed venture capitalist agreed. In 2011, celebrity-turned-investor Ashton Kutcher made a sizable investment. He now sits on the board. In the same year, they secured a $110million investment which allowed them to hire more staff to maintain the site. By June 2012, the website had processed more than 10million bookings. 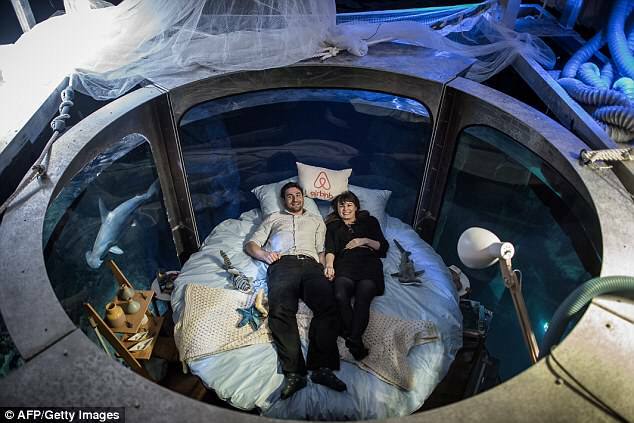 In 2016, Airbnb gave competition winners one free night sleeping in a bed in the Paris Aquarium surrounded by sharks. The unstoppable growth was peppered with challenges. In 2011, they faced backlash from the travel community when a host wrote on her blog about how her home had been trashed by guests. Until then, Airbnb offered hosts nothing in the way of insurance. To combat the problem, they implemented an initial insurance policy which covered hosts for $500,000 of damage. Now, they are covered for up to $1million. Between 2016 and 2018, the company’s private valuation has skyrocketed to $31billion. In February, CFO Laurence Tosi left the company. As he announced his departure, Chesky said the company had no plan to go public in the next year.